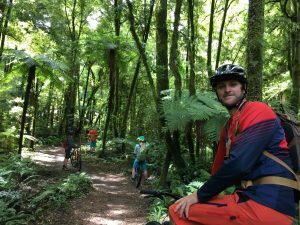 One of New Zealand’s great rides, and an area of outstanding natural beauty, the Timber Trail is a ride that will take you deep into the backcountry and satisfy any riding style and ability. 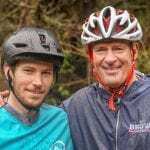 The terrain on the Timber Trail has a little something for everyone, from flowing single track, high suspension bridges and open trail – all through spectacular podocarp sub tropical rainforest unlike anywhere else in the world. Just one of the spectacular high suspension bridges on the Timber Trail. On the 84km 2 day ride, you can expect a big slice of “getting away from it all” while you ride. BIG native trees tower of the sub-canopy tree fern later where the trail weaves through, native birds dart between the trees, and an amazing comfortable lodge in the middle of nowhere is there to greet you at the end of day one. 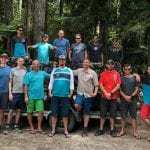 Kiwi hosts roll out the red carpet at the Timber Trail Lodge – there’s a a place to wash down your bike, and a great range of kiwi craft beer to celebrate the day. 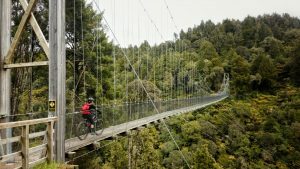 The second day ticks all the boxes of day 1 with the added bonus of riding through the relics of old railway line trenches and outstanding views over the Pureora Forest Park. 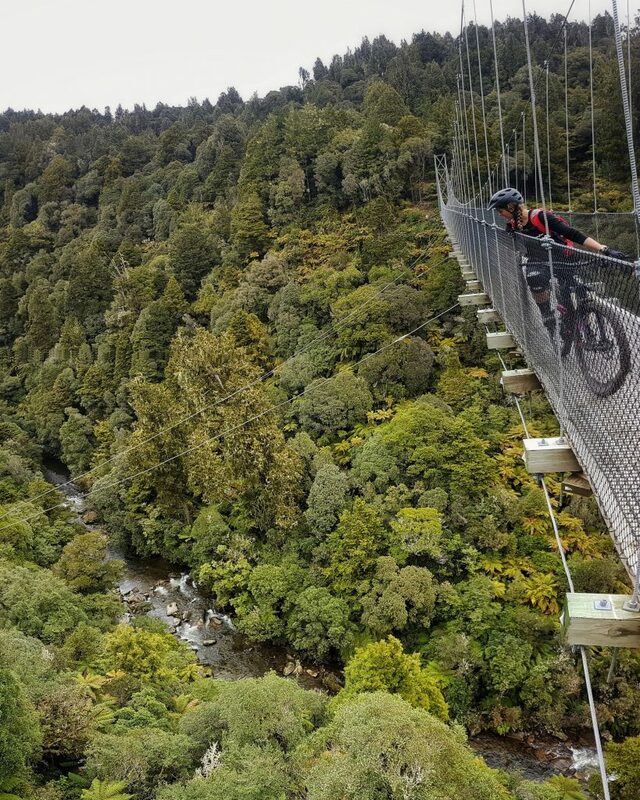 Just a short drive from Rotorua, the Timber Trail – which straddles the Waitomo and Ruapehu districts – is a genuine backcountry mountain biking experience unlike anywhere else in the world. getting away from the crowds and escaping the day to day – all in the best way possible. 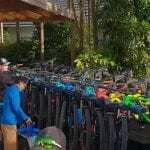 The Timber Trail is part of a few of our multi-day tours. 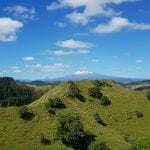 It is the centre-piece of our 4 day Rotorua and Timber Trail tour, and is the half way point of our 7 day Essential North Island and 9 day Jurassic Classic tours. 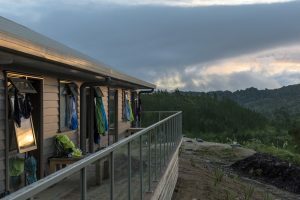 A remote ride is that much better when there’s a great place to stay.